Holly Gayley completed her M.A. in Buddhist Studies at Naropa University (2000) and Ph.D. in Tibetan and Himalayan Studies at Harvard (2009). Her research into contemporary Buddhist literature and its lived contexts has taken her to eastern Tibet on research trips since 2004. 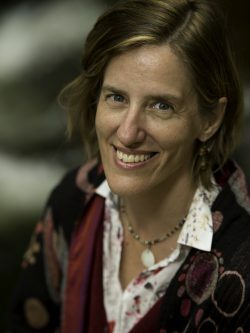 Currently, she is Associate Professor in the Department of Religious Studies at the University of Boulder Colorado, where she teaches courses on Tibetan Buddhism, Women in Buddhism, Gender in Hagiography, Buddhist Ethics, and Transnational Buddhism. She has been a member of the Shambhala community for over twenty years and regularly leads meditation workshops. Her writings can be found at: hollygayley.org.